℗ 2015 The Bicycle Music Company Distributed by Concord Music Group Inc. 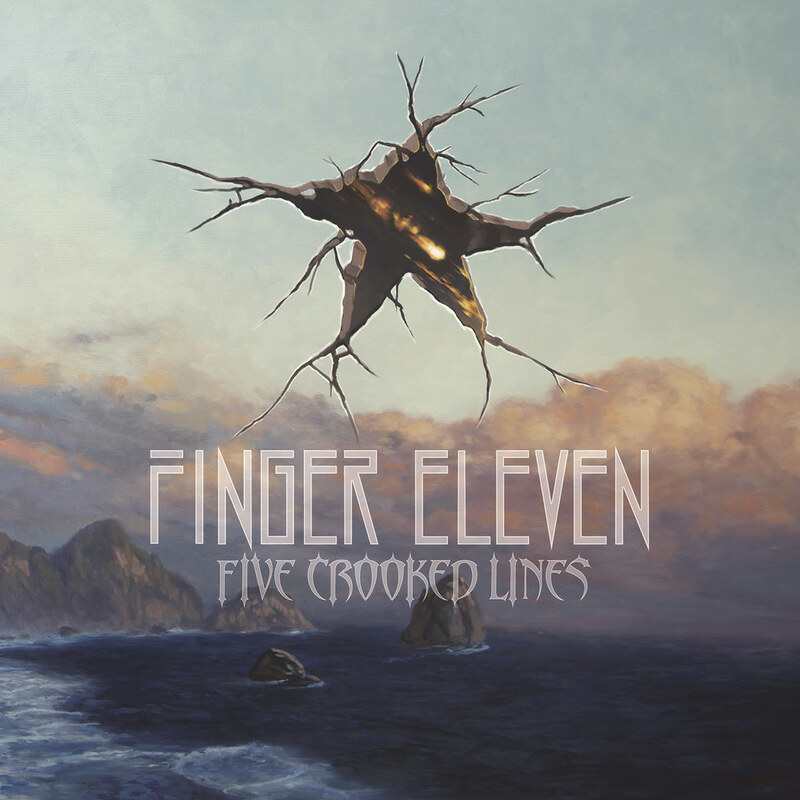 When Canadian rockers Finger Eleven started writing this album, the follow-up to the 2010 album Life Turns Electric, the band members all agreed they wanted to do something different, they just weren’t exactly sure what they wanted to do. Over a two-and-a-half year period, they tried a bit of everything over a multitude of writing sessions. As the members pored through the material they had, they agreed that the best songs, the ones that rang truest and were the most natural, were the more aggressive ones. So, instead of spit-polishing the mixes and layering the tunes with heartrending guitar arpeggios, they toughened up and performed with a forcefulness reminiscent of their earliest days. Energized by a change of record labels and a new drummer, Five Crooked Lines is immediate, urgent and unfiltered, expressing the exultant spirit of rock and roll, not the anger and fury of a generation of misfits. "That’s just not us anymore if it ever was. I can’t keep pretending to be a teenager. So instead, I channeled my adrenaline to create aggressive sounding vocals."